This was the first major international competition held in Japan. 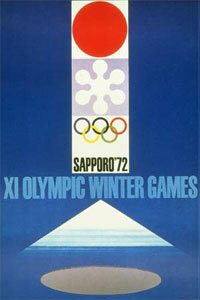 The 1940 Winter Games were scheduled for Sapporo, but were canceled following the outbreak World War II. Canada withdrew from international competition in 1970 after the IIHF vetoed a proposal to allow the Canadian team to use nine minor league pros in that year's World Championship. The absence of the Canadians opened the way for a gold medal victory by the Soviet Union. 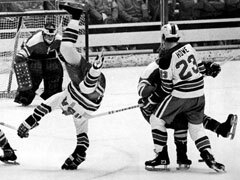 An emphatic 5-2 victory over Czechoslovakia in the final game secured the USSR's fourth championship. The surprising American team defeated Czechoslovakia 5-1 to claim the silver medal while their opponents settled for the bronze. Seeded sixth in the tournament, and already relegated to Pool B for the upcoming World Championship, the U.S. was led by future NHLers Mark Howe, Robbie Ftorek, Mike Curran and Henry Boucha. In a separate five-team group for non-contending teams, Germany and Norway tied for first place with six points - one point ahead of the Japanese.